We had about 50 people at our local Denver "art" theater. I found the production trashy and quite unnecessary (and I'm definitely not a prude! ), but here was yet another example where the brilliance of Verdi's music can overcome even the worst stage design. My wife and I disagreed vehemently (but politely) regarding Crowe's voice. She felt the soprano's upper register was weak, but I thought she was very good. I began a snarky comment by saying, "Maybe if you didn't only listen to Anna Moffo sing this role...", but then thought it best not to continue. Did you like the presenter? I thought she was quite annoying, although I could have listened to the Maestro Joel discuss this opera for at least another 30 minutes! He offered some terrific insights. 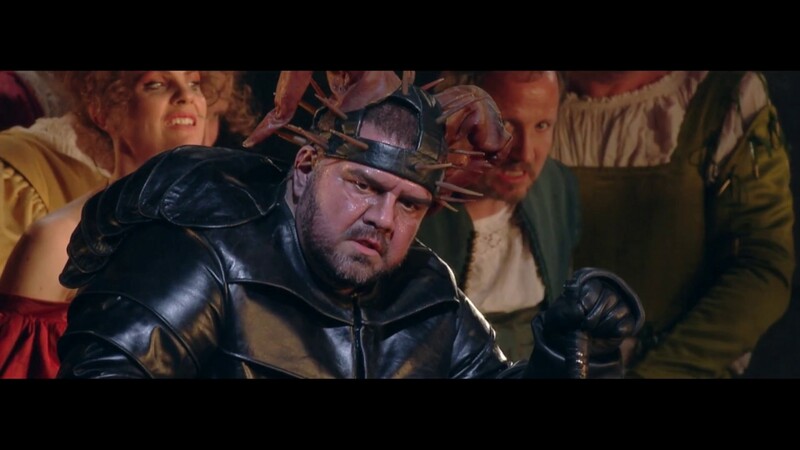 While Platanias managed to pull off that hideous outfit and acting style without detracting from his singing, I had a hard time imagining Hvorostovky (who reportedly was expected to share this role prior to his death) lowering his dignity sufficiently to wear that costume. The presenter is their standard announcer. Maybe she's from the BBC. Dmitri would wear it but you wouldn't believe it.